Leaked Information On Zelda Wii? | The Gamesmen- What role will YOU play? 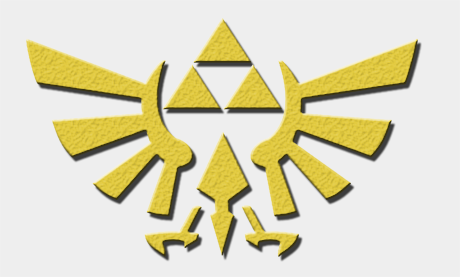 »Previews»Leaked Information On Zelda Wii? Leaked Information On Zelda Wii? First off, they were the first people to break the news and story for every single Kingdom Hearts game ever made, long before it was publicly released. They released all the news for Metal Gear Solid 4, Resident Evil 4 and 5, and pretty much every Square Enix RPG ever made. Interestingly enough, back in 2003, they also broke The Wind Waker’s story roughly two months before release, and no, prerelease copies were apparently not out yet stateside. So the question needs to be asked: If the community there has been right so many times with rumors, then why can’t they be right this time around? They very well could be, so step inside and see what was revealed – as confirmed by one of our own translators. The game will be vary from the dungeon field dungeon method we are accustomed to (nothing new, Eiji Aonuma confirmed that last year). You will be able to select right or left handed at the start, and Link will be left or right handed based on your selection. The gameplay and basic mechanics are complete. They are currently polishing up the story and Characters. One of the characters they are working on is a innkeeper in Link’s home village who has a son that looks up to Link. The girl in the art is not the Master Sword, and it appears the Master Sword will not be in the game. The girls name from the painting could possibly be Adelle, Adella, or Aderu. She is not with you throughout the game like Ezlo and Midna. The face in the painting of her is not her real face. It’s not fully elaborated on much, but it does say that it was a place holder concept art piece. (assuming the entire art itself was just concept work). Link’s sword is highly unique in this game, and will have several unlockable abilities. Adelle (or whatever her final name becomes) communicates with you through this sword. There will be horseback combat. Epona will avoid obstacles automatically. The models for 3 significant characters in the game have been touched up, but no they are not Zelda or Ganondorf. (google translate gives rough names of Link, Gorons, and Epona, but our translator said it’s not specifically mentioned). The idea of this version of Link also being The Hero of Time has been highly considered, and may already be implemented. Time travel plays a role in the game. The game takes place in more then just Hyrule, and may possibly not be Hyrule at all. This is a game I will surely get…. I am serious and dont call me Surely…..I know its not spelled like the name but can anyone tell me where thats from.